The smell of lavender at a roadside picnic, waiting for the Tour de France to race past. The Pacific Ocean view from the 10,000-foot summit of Hawaii's Haleakala volcanic crater (after 5 hours of uphill riding). A fresh Fat Tire ale hitting your lips at the new Belgium brewery in Fort Collins, Colorado. These, and a wide-ranging variety of other experiences, all rooted to a specific location or event, comprise The Cyclist's Bucket List. 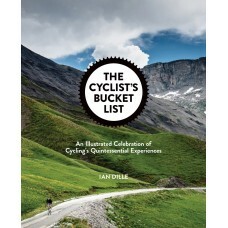 The book will definitively catalogue both the iconic and little known - the accessible and aspirational - sensory and emotional experiences that instill cyclists with a deep passion for the sport. 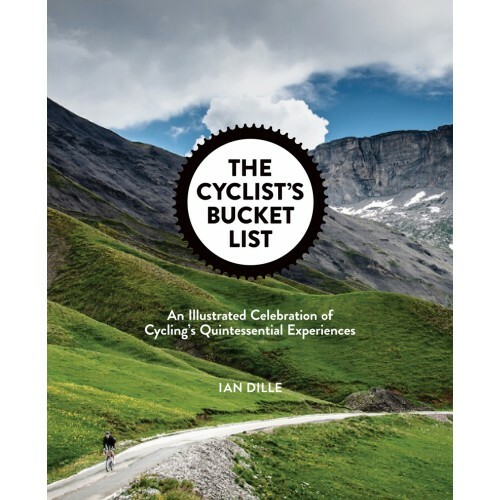 In this book, Ian Dille compiles and showcases the world's quintessential cycling experiences through extensive research and interviews with expert sources, vivid storytelling, stunning photography, and compelling design. 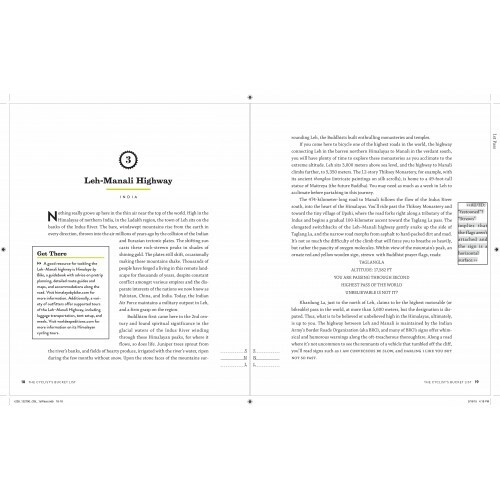 The format includes lengthy in-depth descriptions as well as much shorter, easy to consume write-ups, ranging from locations such as Italy and Belgium to Nova Scotia and Texas.